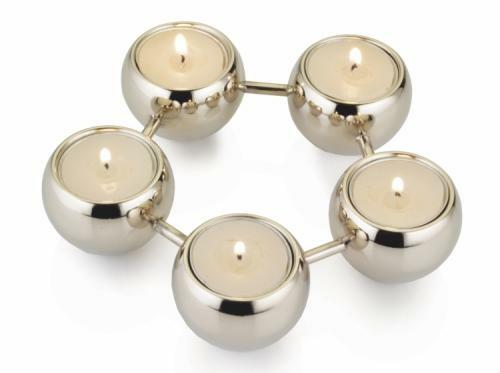 Bead T Light holders are a delicate and attractive addition to any coffee table, shelf or mantelpiece. Curvaceous and stylish, they’re made from pressed and spun stainless steel, polished to a mirror finish and then plated in bright nickel. They are offered individually, in a group of three, and in two five-bead designs (with all adjoining bars also in nickel-finished stainless steel).